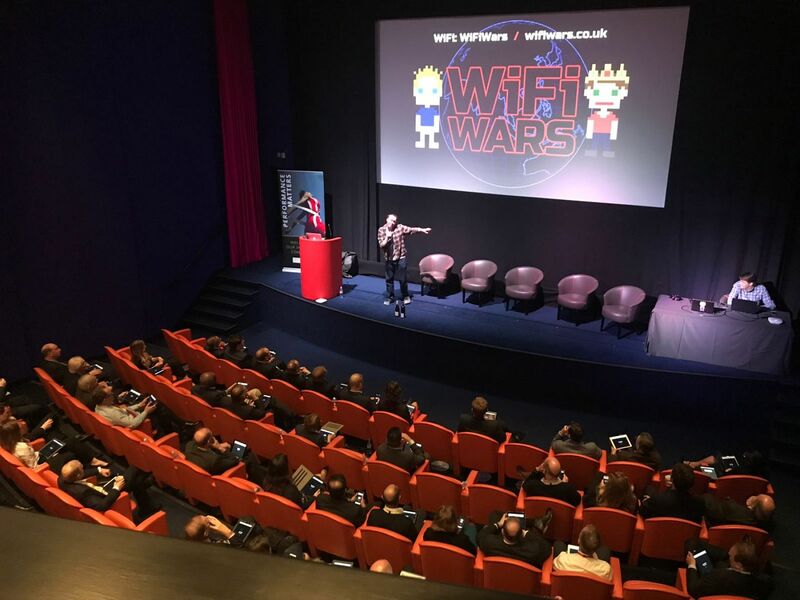 "WiFi Wars provided the post lunchtime slot for P-Solve’s Investment Conference and it was excellent. It was perfect to lift the energy in the room following lunch and really brought something different to our programme. They were able to adjust the tone and timing to suit the conference without losing any of the humour that makes Wifi Wars so entertaining. Having been to some of their shows I was confident it would work well. However some of my colleagues (that hadn’t seen them previously) were initially concerned as to how it would be received given the demographic of our conference attendees (Trustees of pension scheme). As soon as it kicked off this concern went away and the reaction from our delegates was extremely positive. It got everyone talking. Steve and Rob were very professional and thorough in organising too, turning up very early on the day to set up and ensuring everything worked smoothly including fully briefly the host of our conference on what was going to happen. I would highly recommend." 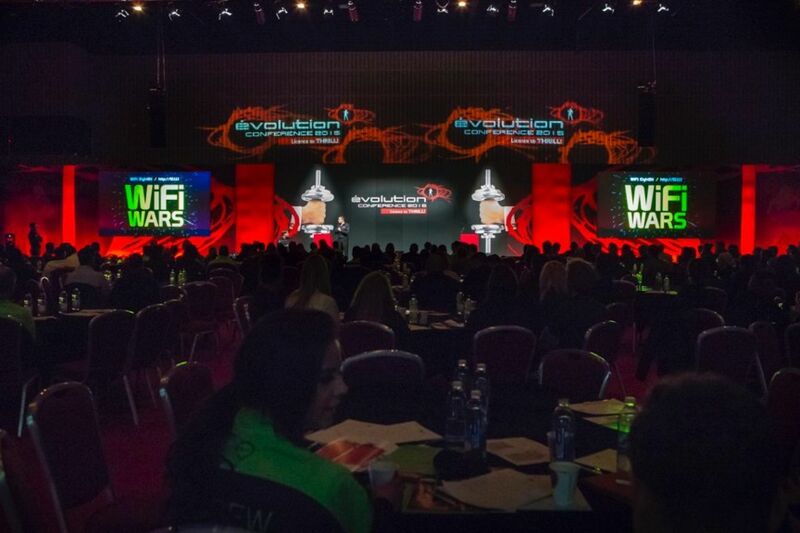 "We were lucky enough to have WiFi Wars at our company's annual event in November 2015 at Milton Keynes Arena, and we could not have been happier with the result. 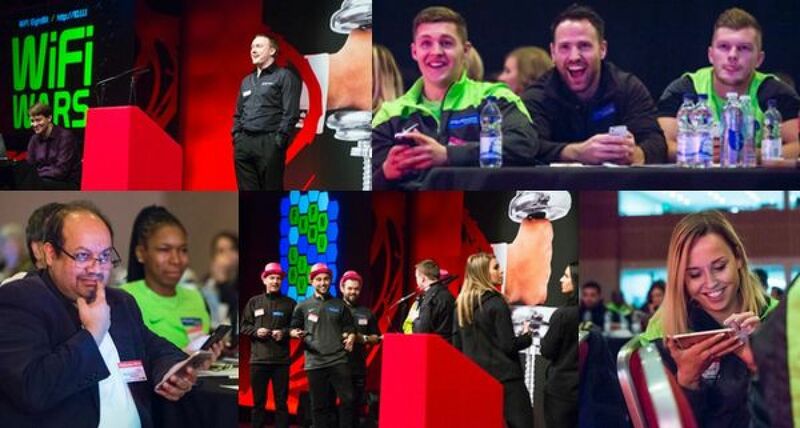 It was certainly a highlight of our day, and a welcome change of pace that helped lift the energy in the room in that difficult 'post-lunch' slot, with our 400+ delegates. Whilst we chose to use WiFi Wars primarily as an entertaining diversion, they went out of their way to tailor what they provided to our business. As we are a fitness company, the games they used within the show were all sports-based, for example. We wouldn't hesitate to use them again, and would certainly be interested in their suggestion of using their technology for a more educational (but still fun!) presentation - using games to educate on the importance of working collaboratively when in teams. We'd probably also get the sales team to compete against the marketing team, just to settle once and for all who's best! Steve was a great host, and we were delighted to have him not only present the WiFi Wars show, but MC the event throughout the day. Next time, we'd be keen to also use the WiFi Wars technology to integrate with other elements of our event, such as twitter walls, ad-hoc quizzes on the day's educational elements, and delegate feedback (the ability to gain instant responses from every delegate, for example, really appeals). In short, a wonderful addition to our event - well worth the money, really added value, and there's far more we'd love to do with them than we did on this first occasion!" - Excellent!!! Loved this...great audience interaction and wonderful after lunch. - Raised the energy in the room. - A great session to interrupt what can be a long day with something different. - Got the room buzzing! - Loved the interaction and technology. - Great concept and great for audience engagement.